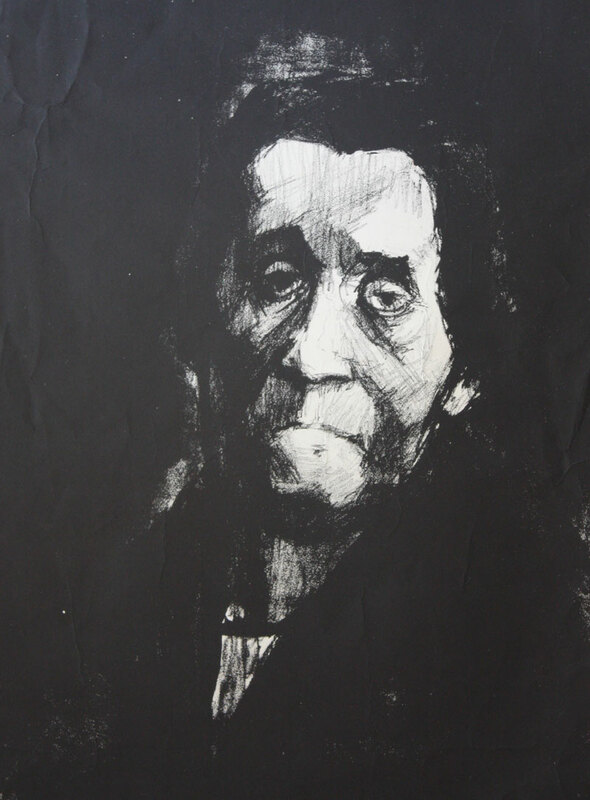 description A head-and-shoulders lithographic portrait of an old woman, seen in full face view, her head inclined slightly to the right and shown in half shadow. Her face is careworn and her expression serious. Skilfully etched and Rembrandtesque in spirit, the work is set in Whitechapel and can be precisely dated to December 1954.